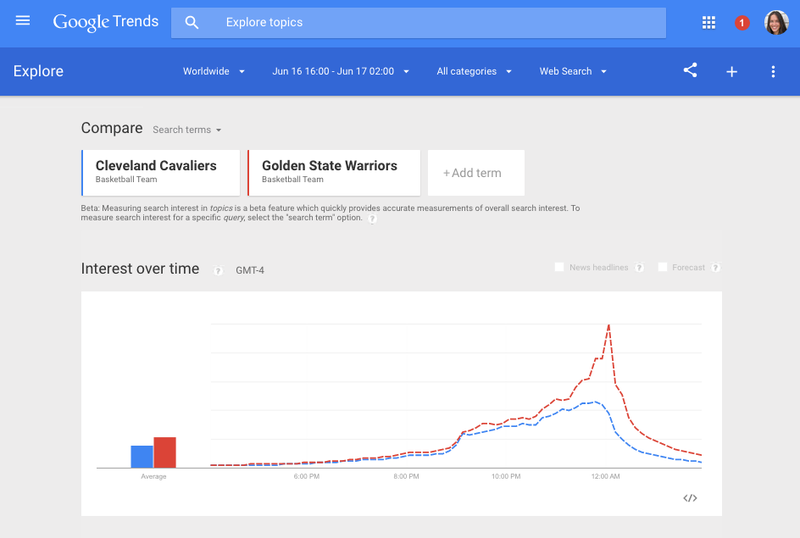 Google launched a redesigned version of Google Trends today that brings real-time data to the service. So if you feel the need to get up-to-the-minute data on how Donald Trump’s hair is holding up during his so-called presidential campaign, you can now do that on Google’s service. Unsurprisingly, the new design follows most of Google’s own Material Design guidelines, the design language the company announced about a year ago and that’s now finding its way into most of its mobile and web products. The new homepage is now available in 28 countries, and Google says it will add more locations in the next few months. For topics that rank very highly and major events like the Oscars, Google will now also provide a real-time list of trending stories and additional information on the improved Trends search page. 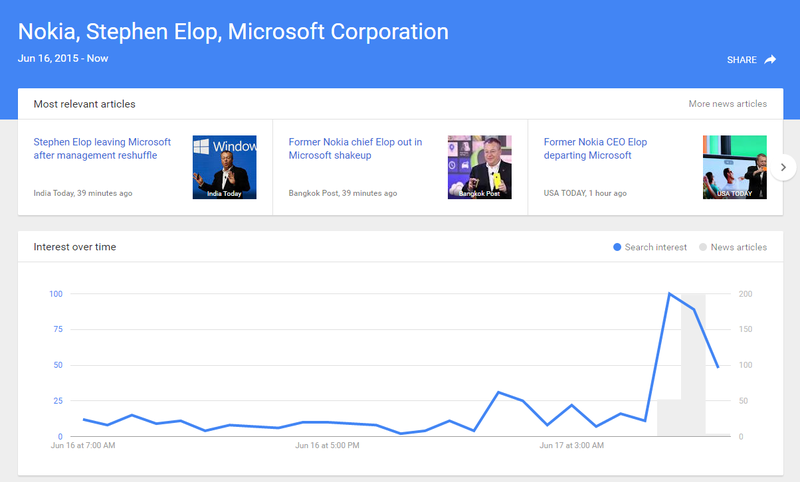 The company says that it has also increased “the breadth and coverage” of Google Trends data, so you should be able to find information about more niche topics on the service now. To do this, the service now also pulls in data from YouTube and Google News searches.